SHOP WITH CONFIDENCE SHOPPING ON MensUSA.COM IS SAFE AND SECURE. GUARANTEED! This is a 100% Linen Jacket with Pant set. You already know your sizes if you own a suit, sportscoat, blazer or tuxedo. If you currently own one of the above garments and it still fits, simply reference those sizes. 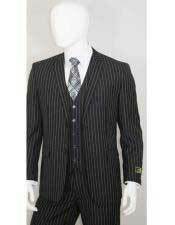 They are all items with similar sizing guidelines to suits. 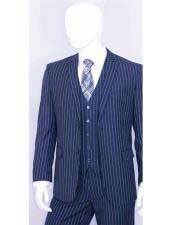 You do not own a suit, sportscoat, blazer or tuxedo, you do have access to a local tailor shop. Once again, getting measurements for your suit should be a relatively easy process. You can always visit a local tailor shop to have your measurements taken (NOTE: you should not be charged a fee because the tailor will usually expect you to come back to him for your tailoring/alterations needs). You do not fit into the previous two categories, but you do own a tape measure and have someone who can measure you. As long as you have a tape measure and friend/family member, you can easily have your measurements accurately taken. Be sure to stand up straight with your arms at your sides. Stand relaxed, yet still erect. Have your friend/family member take the tape measure around your chest (at its fullest part) UNDER your arms. Helpful hint: have your friend/family member insert a finger between the tape measure and your body to ensure a comfortable fit. This would be your "Chest Size". (Ex. 40, 42, 44, etc). Next you want to find out if you are a "Short", "Regular", "Long", or "X-Long". This is determined by height. See the chart below, if your height is in the Blue area, you are a short. If your height is listed in the red area, you are a regular. If your height is listed in the green area, you are a long. If your height is taller than 6'3" you are considered to be an X-Long. For more assistance, please visit our Contact Us page. Vest size is primarily determined by coat size, but waist size should also be factored in. Take the measurement around the base of your neck and add 1/2 inch to the measurement; this is your "collar size". 1. Rest your hand on the side of your hip, with elbow bent. 2. Measure as shown in the illustration: - Start at (A) the backside base of the neck, - past (B) the shoulder, - around (C) the elbow, - to (D) the wrist or the point at which you prefer the cuff to end. The path of the tape measure should follow the outside of the arm. Some gentleman will measure their "sleeve length" incorrectly because they will start their measurement at the "top of the shoulder" instead of starting at the "middle of the back / bottom of neck". This can often reduce several inches from your correct measurement. When this happens, gentleman will sometimes order a 30/31 sleeve instead of the desired longer sleeve length. 32/33 sleeve = usually 5'6" to 5'9"
34/35 sleeve = usually 5'10" to 6'1"
36/37 sleeve = usually 6'2" to 6'4"
Please check our Feedback and buy by confidence. We offer 100% Money Back Guarantee - View our 100% Guarantee Policy and you will see your shopping experience with the Men's USA will be very satisfying. - Please see "SIZE CHART" before finalizing your order.Group ORDERS Call 1-844-650-3963. We guarantee your satisfaction. We have an unconditional return policy on all unworn, and unused new items purchased. Returns must come with their original packing and labels. Once the item is received, we will refund the full purchase price minus the 0% Restocking Fee. No shipping fees are refunded. You must make a request to return your item within 15 days after you received your item, otherwise we shall deem that you are satisfied with your purchase and the sale will become final. If somehow we mistakenly misrepresented the item we will reimburse the full amount paid plus return shipping cost. (Christmas merchandise purchased from November 15th to December 29th can be exchanged up to January 25th).